Electronic Newsletters (e-newsletters) have become a standard fixture in many small and large business online marketing strategies, with good reason. E-newsletters can be very effective in building credibility and establishing expertise.E-Newsletters are also great at retaining the mindshare of customers and prospects, especially when sent out on a regular basis as part of your web marketing routine. Here are some essential newsletter marketing strategies you should keep in mind when planning your next newsletter marketing campaign. To broaden your audience and generate additional leads and sales, try renting a good mailing list customized to your customer demographics and send your newsletter to them. Many people will read your newsletter if it’s interesting, even if they’ve never heard of your organization before. Keep in mind that, emailing complete strangers without their permission is blatant spamming. If you send email to a list that isn’t permission based, the first thing recipients are going to say is, ‘Do I know you?’ and the second would be ‘Do I care?’ but the fact is you have lost them already? Your newsletter should add value to your readers’ lives: Craft relevant content that informs your readers and lends insight into current trends that affects them. Make sure you completely understand your audience and provide features, articles and sidebars that strike a chord with them. A newsletter aimed at commercial real estate investors could give advice for finding the perfect conditions for investing for short-term profit, for example. Include regular sections, features, columns and other exciting, entertaining and useful content — and skip the fun and games such as Sudoku and comics — to keep your readers engaged issue after issue. Also, don’t forget to feature your customers. Everyone loves to see their photos and images in print, whether it’s a case study on how you helped them or a heartwarming story about a hobby relevant to your business. Your email newsletters have to grab readers the minute they land in their inboxes. Most recipients look at the subject line first. If it’s something bland and unappetizing like “monthly newsletter,” they pass on. They might think they will come back to it later, but they usually don’t. Although it’s useful to use HTML (Hyper Text Markup Language) to make a newsletter pretty, don’t get too carried away. Web pages can appear differently to people depending on the web browser people are using (and the question of Windows versus Mac can also cause issues). Email clients also make things appear differently. Your newsletter should not read like a sales pitch. Still, there is no reason you can’t include advertisements for offers and calls to action that your readers should take to cash in on your offers. Highlight great discounts, free consultations, drive traffic to your website or even offer a coupon or free report in return for your readers’ responses. 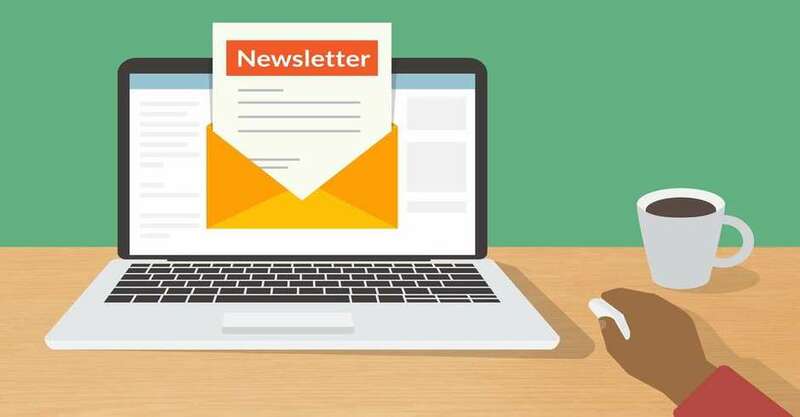 Newsletters are a great vehicle for staying connected to your audience, so don’t waste any opportunities to stay in touch. Your email marketing could fall on deaf ears, but if you do it right, you can pretty much count on getting a response. You have to be ready when it comes. When you write free content and send it to interested customers, your phone is going to ring. It might seem like no brainer, but it’s a common mistake under-resourced small business make. Continually greeting and helping each of your customers on a personal level can be difficult to do month-in and month-out. Newsletters bridge the gap between time and convenience. They offer a great way to let your readers know that you care, you know what you are doing and you’re here to help whenever they need you. And if you are following the above mentioned tips then it can help you to raise the standard of YOUR newsletter marketing which can cumulatively contribute to raising the bar on a global scale.